Memory and storage are crucial — your system won't work without them. We could not find the model you entered. We live and breathe memory and storage, but it's not just a work thing. We build our own rigs, geek out over new technology, and game as soon as we're off the clock. We're constantly learning, and we like jumping on the forums to answer your questions just as much as we enjoy walking you through the install process so you don't have to figure it out on your own. The award-winning drive that lets you fly through everything you do, store up to 2TB, and enjoy the efficiency of Micron® 3D NAND. The fast, easy way to improve your desktop’s performance. Now compatible with the new iMac models! 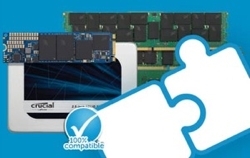 The fast, easy way to improve your laptop’s performance. SSDs deliver nearly-instant boot and load times because they don’t have to mechanically seek out data on a spinning platter. Want to know what hardware is in your computer? Become a computer pro with our quick guide to these essential components and their roles. 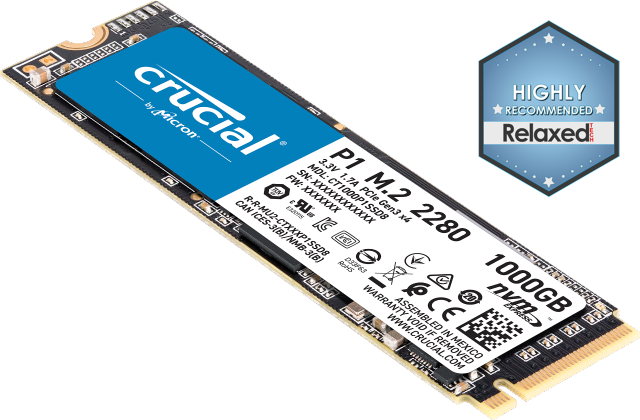 Crucial has created a fantastic product with the MX500 SSDs. The MX500 series come loaded with features such as hardware encryption, dynamic write acceleration, and can also protect your data in case of a power outage. The Crucial MX500 bucks the trend by setting several surprising performance records while offering competitive mainstream pricing. The program that examines my system picketed out what I needed. I ordered it and installed it and all worked perfectly.